Dropshipping for Dummies – Discover how to get Started. You are here: Home / Blog / Dropshipping for Dummies – the Beginners Ultimate Guide. Before the concept of dropshipping was discovered, starting an ecommerce business can be very expensive due to the amount of money required to invest in buying of inventories and the cost of renting storages. The required capital mostly runs into thousands of dollars and even more. Fast forward to now; you can easily start an ecommerce store with as little as $100. Yes, that’s correct, one hundred dollars or less. The big question is always this; how is it possible to invest such little amount of money and expect to make profits in thousands of dollars? Well, that is what you’re just about to learn! PLEASE NOTE: the word “Dummies” used in this content is only for illustration purposes, it’s basically used in other to explain the subject in the simplest and non-intimidating way’s possible to the intended audience. The word simply refers to a “Beginner” in any subject, and both words will be interchangeably used as we proceed. PROS - The Advantages of Dropshipping. CONS - The Disadvantages of Dropshipping. How to avoid Dropshipping Scams when looking for Suppliers. 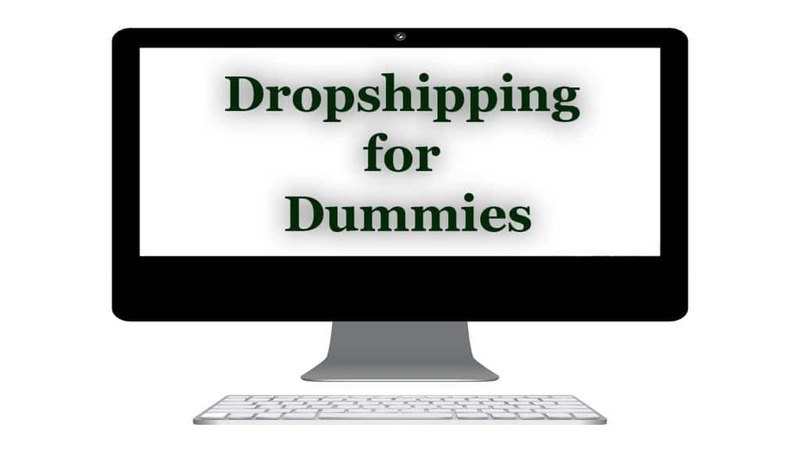 Download the PDF Copy - Dropshipping for Dummies. Dropshipping can be defined in many ways but ultimately, it has one common meaning and that is - “Retail Fulfilment”. Dropshipping is a retail fulfilment or supply chain method in which you (the retailer) do not need to physically have or own the products you’re selling. Instead, when you sell the product, you then buy it from a third party that owns the product and you instruct them to ship the product directly to the customer without disclosing the source of the product but rather they will use your address as the source (if required). In general, you are partnering with manufacturers or wholesalers of products and selling on their behalf’s while you get them to carry out the shipping. Basically, they are working as your fulfilment centre or your warehouse. All you are left with within the required process is to sell the products and place the orders with your suppliers when needed. How Dropshipping Works – a quick step-by-step guide. It’s very important you have a clear understanding of how dropshipping works. Imagine having to set up your own online store with hundreds or thousands of products without you having to own any inventory or stock the products! That’s ZERO investment on product inventory. All you have to do is to find companies that are providing dropshipping as a service (suppliers) and find products to list on your own website or your preferred marketplaces like Amazon or eBay. You add some percentage to the product price which will be your profit (typically from 30-100% or even more depending on where you’re sourcing the product from). Let’s say you find a product to sell and the price is $20 from the supplier. And you add 50% (that is $10) to it making it $30 as your own selling price. When a customer buys the product from you, the customer will pay you $30. And you will then buy the product from your supplier at the cost price of $20; the balance of $10 will be your profit. It’s quite straightforward and not as difficult as you might think! Dropshipping for Dummies – What are the PROS and CONS of Dropshipping (the Advantages and Disadvantages)? 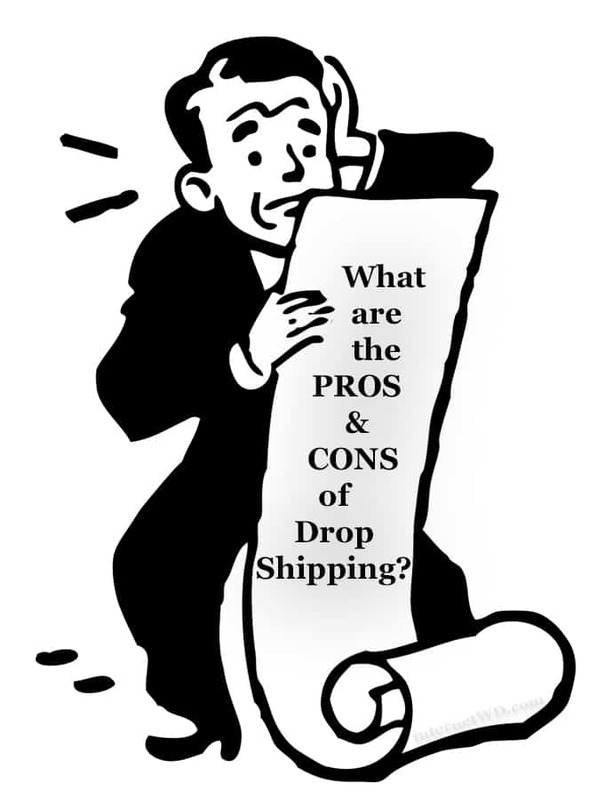 Like any other businesses, dropshipping does have its own advantages and disadvantages (the Pros and Cons). Access to varieties and large quantities of products to sell – since you’re not paying any upfront cost, you can basically decide to sell any products of your choice. Also, you can list any amount or any quantity of products on your website or the marketplace of your choice. Next to zero investment required – because you don’t own any product inventory, you don’t have any upfront cost related to the products you’re selling. No storage required – because you are not storing any product inventory of your own, you are not required to rent a warehouse space or any storage. No packaging or shipping headaches – your supplier is responsible for the packaging and shipping of all the products you sell. Although to your customers, you are directly responsible for the shipping, but all you need to do is to always update your customers with the shipping details provided by your supplier. Delay in delivery – because you don’t have control over the shipping of the products, you might have to face customer complaints about delay in receiving the products they order from you. This can be a major issue because sometimes, the order might completely go missing and you would have to either refund the customer or resend the product again. Although, the problem of deliveries being delayed is not a common problem if you’re using reputable suppliers. Product availability issues – because you are not in control of the products you are selling, there are times that the products you’re selling will be out of stock without you knowing and you will have to refund your customers. Although, if you’re dealing with multiple suppliers, you stand the chance of sourcing the product from your alternative supplier. Low-Profit Margins – if you’re sourcing your products from a supplier that the prices are high, then you’re likely to face the problem of low-profit margins. The last thing you want is to be selling products that are obviously over-priced. How to avoid Drop Shipping Scams when looking for Suppliers. The possibility of you being scammed in the process of finding reliable dropshipping suppliers is sometimes high if you don’t know what you’re doing. Because there are lots of bogus companies on the internet claiming to be offering dropshipping services or being a supplier. Some of them are there to scam you and while some of them are just middlemen trying to help but at a costly monthly fee. Generally, you simply have two options around finding dropshipping suppliers; you can choose to either find the dropshipping suppliers yourself through the use of search engines or you can use trusted wholesale directories. Talking from my own experience so far, I’ve always been a big fan of wholesale directories and that’s what I’ve been successfully using for years now. Please note: I’m not saying you have to use wholesale directories simply because it has worked for me. All I’ve just shared is my own opinion, so it’s entirely up to you if my opinion makes sense to you or not. A word of caution: always avoid dropshipping suppliers that are demanding you pay any monthly fees! Although, you will have to pay some fees if you choose to use wholesale directories but it’s mostly a yearly or one-time fee. They’ve been in business for over 3 decades (30 years), I’m sure that means a lot! You can buy directly from them without having to pay any membership fees. Both Salehoo and Worldwide Brands wholesale directory have successfully been in the business for over a decade now (10 years), and they’ve built a good reputation for themselves over the years. As I mentioned earlier; keep in mind that most wholesale directories will charge you a fee for using their directory. And it’s understandable because they are already doing most of the hard work for you by verifying the suppliers and providing you with a list of thousands of suppliers. Starting your own dropshipping business might sound very difficult, but one thing I can assure you is this; it’s not as difficult as you possibly think! In a general case study; what most people struggle with when starting their own online ecommerce store has always been the cost of buying products to sell. But the good news is that dropshipping has eliminated that barrier for you, and which is a BIG plus for you to take advantage off! I understand the fact that it can be a bit of a headache sometimes in finding dropshipping suppliers who are reliable, honest and that provides quality products at the best price possible. 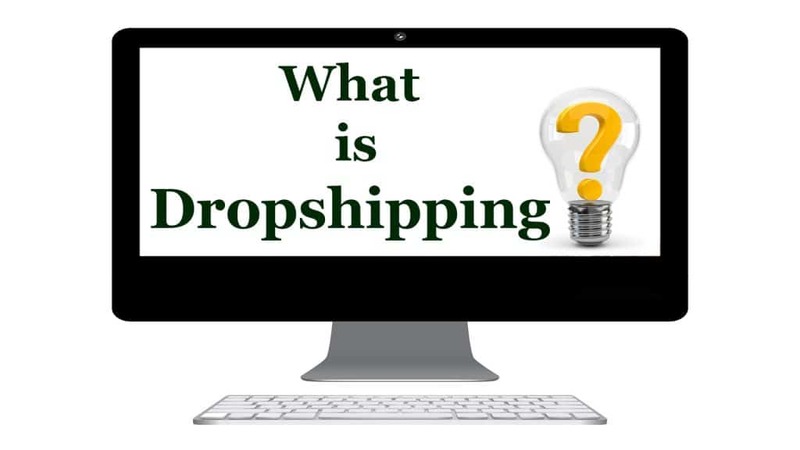 But I’m sure if you follow the guidelines stated in this dropshipping eBook that I HIGHLY recommend; then you will be fine with the process of getting started with your own dropshipping business. Thanks for reading, and I hope you’ve gained some helpful tips in this Dropshipping for Dummies? In the meantime, I wish you all the Best! This article was great it covers everything a newbie needs to know about dropshipping,thanks for the share. Thanks for your feedback; much appreciated!